Imagine a stunning spa that sits like a gleaming jewel in the Baja sun, a spa with natural body treatments featuring extracts derived from local native plants. 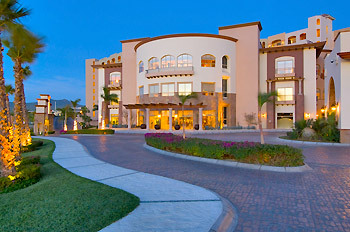 Overlooking breathtaking Médano Beach in Cabo San Lucas, the Desert Spa at Villa del Arco is a spectacular 31,000 square-foot facility boasting a wide variety of body treatments, massages, facials and state-of-the-art amenities, including expansive hydrotherapy centers for men and women. 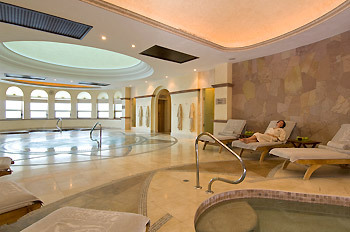 This magnificent spa is a fitting complement to the spectacular Villa La Estancia, Villa del Arco, and Villa del Palmar resorts, the Villa Group's fabulous Los Cabos properties. In addition, there are 17 treatment rooms, two exclusive VIP suites with private Jacuzzis and showers, and a full-service beauty salon. The facility's tranquil atmosphere is an inviting oasis - the perfect way to treat yourself to a day of pampering during your vacation getaway in Los Cabos. The spa also offers a state-of-the-art, 4,500 square-foot fitness center featuring seven treadmills, four elliptical bikes, three stationary bikes, 10 strength-training stations, a multi-purpose station, free-weight stations, and a yoga/Pilates studio with classes, lockers and showers. 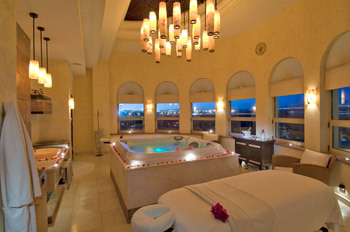 Room charges and all major credit cards are accepted as a form of payment at the Desert Spa. As per company policy, cash is not accepted as a form of payment. We request the courtesy of a six-hour notice in the event you need to reschedule or cancel your appointment. Otherwise, you will be responsible for 50% of the treatment charge. The Desert Spa will not be responsible for any lost or stolen objects during your visit. Please do not bring valuables with you to the Spa. Please be advised that the Villa Group Properties do not accept $100 (USD) bills. 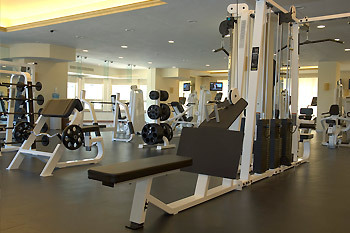 Fitness Center facilities are only available to those 16 years of age and older.